It’s been a few months since the last big super hero movie, summer is a long way off and it’s still another month’s wait until the second half of The Tick is available. So if you’re going into withdrawal, I’m not surprised, because finding a good superhero story is tricky. It’s difficult to create a believable universe in a genre riddled with clichés and super powers that make it super easy to solve super hard problems. That said, here are three books that are, ahem, super good reads. The story switches between pre-apocalypse character flashbacks, and the present, where a team of superheroes are defending the last outpost of humanity against zombie hordes. Their job gets a lot harder when they discover there’s something out there even more dangerous than animated corpses. The ex with the engraved tooth was sprawled across the cot. As the midday sun blasted into the small space it twisted its head up to the door. It lay there with its blank eyes facing into the glare. For the first time since Gorgon met her, the woman in black froze. He’d done the same thing ten minutes ago. While the idea of superheroes fighting zombies may initially seem too over the top, Clines delivers a really well thought out exploration of that scenario. How would their superpowers help them fight zombies? Or not? In the latter case, can they become zombies? What happened to the super villains? In Ex-Heroes, Clines deftly supplies answers that make perfect sense. His heroes have depth, their actions have consequences, and the limitations their powers have are believable. It’s an excellent and satisfying exploration of the premise while being a very entertaining read. 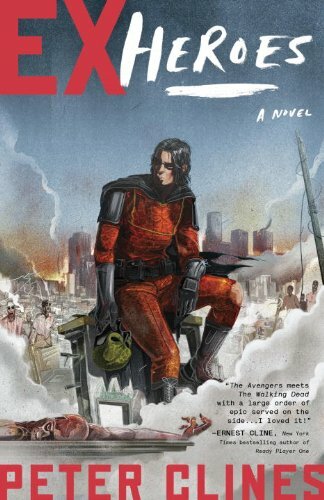 While Ex-Heroes is a standalone novel, there are more books set in the same universe, and it’s the rare case of a series where I felt the second book was even better than the first. However, that’s something for another column. Three new heroes develop their powers after the world’s preeminent superhero team is aggressively wiped out. Kate Brauer had spent two exhausting days training with Samuel. She’d protested again that she needed to be concentrating on her armor far more than her body. Samuel smiled and nodded at her reaction. 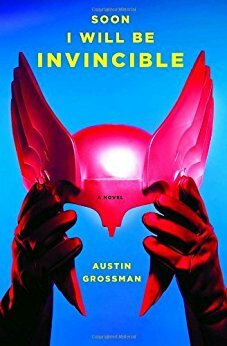 Written in 2008, this was one of the first superhero novels I’d run across that addressed the practicality of superheroes, and really thought out how different types of powers (magic, a mutation, and high technology) might actually have developed and could function in the real world. 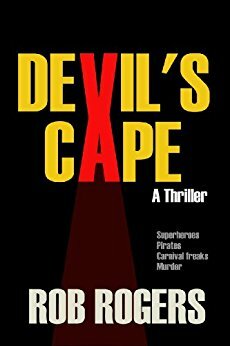 In Devil’s Cape, it isn’t easy to just “bag the bad guys”, and they’re more than willing to kill a hero if they get the chance. It’s a darker, more complex read than the other books on this list, but is one of those rare books where everybody I’ve gotten to read it has loved it. A super villain plots his revenge against a team of super heroes, and this time it’s going to be different! In addition to smooth prose and setting, good storytelling requires the characters to be believable—driven by their own view of the world, rather than just meeting the requirements of the plot. Here we get that from the villain’s first person perspective. While it’s a lighter take on the genre, his motivations are sound, and his dedication is predictably obsessive, so though the whole book the reader is left wondering if it really will be different this time. So, what other books should be on this list? Leave your thoughts in the comments, and stay tuned for my next column, where the theme will be: Run For Your Life.